Alain Prost started where McLaren had left off with victory in the opening race of the year in Rio, but the performance over the weekend of Lotus - with Ayrton Senna as a driver - and Ferrari, suggested a much closer fight for the championship was in store. The season started with two teams missing from the grid. Toleman was without a tyre supplier after angering Pirelli and Goodyear only to find Michelin had withdrawn from F1 - it missed the first three rounds and only returned when the Spirit team folded. The new Zakspeed, meanwhile, was not ready in time for the season opener. Senna and Elio de Angelis impressed early on but it was Michele Alboreto (Ferrari) and Keke Rosberg (Williams) who took the front row of the grid. As the cars approached the first corner, Alboreto was hit by Nigel Mansell's Williams, both claiming innocence. Mansell managed another eight laps while Alboreto lasted the distance. It was apparent that while the Ferraris had straight-line speed they could not keep pace over the full lap. Prost, in front from the 18th lap to the end, led Alboreto almost throughout while defending champion Niki Lauda was third when ignition failure forced him to retire before half distance. 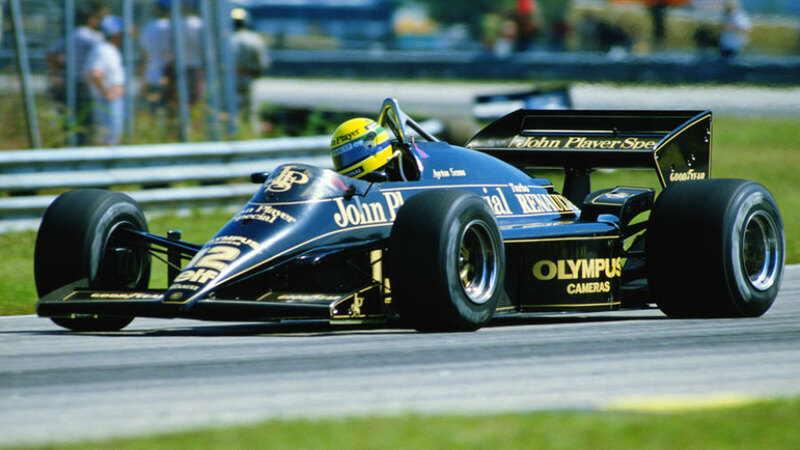 The biggest disappointment of the day for the home crowd came when Senna, holding third at the time, had to retire his Lotus 12 laps from the finish. Although the gap between Prost and Alboreto was only four seconds, the result was not in doubt. Elio de Angelis was more than a lap behind in third while the second Ferrari of Rene Arnoux was fourth. A little more than a week after the race Ferrari announced it had replaced Arnoux with Stefan Johansson, who had been sidelined by Toleman's troubles. Arnoux had suffered with back problems but there were rumours of a behind-the-scenes row with the team's 88-year-old boss as well as issues between the driver and the mechanics.